A coalition hopes to achieve a network of marine protected areas in the vast Southern Ocean by 2020. Earle argues that the health of the planet itself is at stake. In 2020, IT will be a mere 200 years since explorers first “discovered” Antarctica, a continent and surrounding ocean that, to this day, belongs to no nation. Ocean conservation advocates hope to celebrate 2020 for a different reason. That’s their target date for achieving a large network of protected areas in these vast and remote waters. They’ve made progress, but want to go much further. In 2016, the Commission for the Conservation of Antarctic Marine Living Resources, a body of 25 nations tasked with protecting marine life, agreed to create a marine protected area (MPA) in the Ross Sea, now the largest such reserve in the world. But another proposal to protect the waters of East Antarctica has been stalled by opposition from the few nations with an interest in fishing these waters. Other proposed Southern Ocean marine reserves in the Weddell Sea and Antarctic Peninsula will also be considered at the commission’s annual meeting in October in Hobart, Australia. This week, the renowned marine scientist and activist Sylvia Earle joined a small meeting of high-level advocates, including Russian ice hockey legend Slava Fetisov and cold-water swimmer Lewis Pugh, who are pushing for progress. Oceans Deeply talked to her about what the “Antarctica 2020 Champions” hope to accomplish and why. 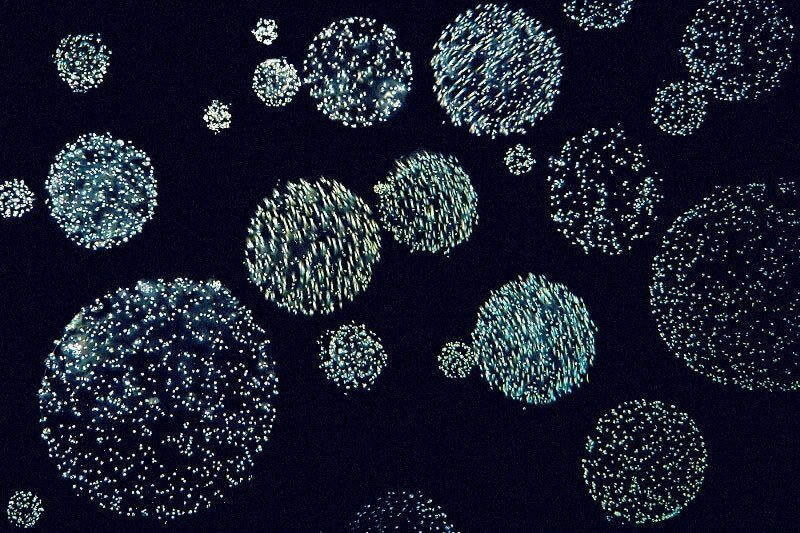 Oceans Deeply: Tell me about what you were discussing this week. 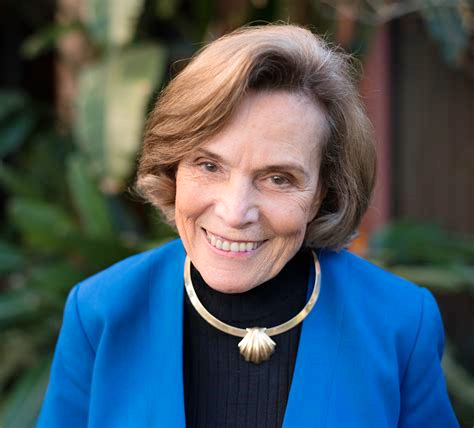 Sylvia Earle: We’re focusing on the future of Antarctica. Most people think of Antarctica, and they think about the land, but we’re looking at the ocean, which is really a critical part of what makes that part of the world what it is. The beloved creatures on the land, like penguins and seals and birds, they depend on the ocean. We’re increasingly aware that, as humans, we depend on the ocean too. Antarctica has an oversized impact on the nature of the world: the climate, the weather and life on Earth generally. We’re looking at doing what we can to encourage nations around the world to essentially do what was done for the Ross Sea in 2016 – that is, to agree to bring about enhanced protection. Right now, there’s quite a lot of activity for taking krill and the deep-sea fish known as the Chilean sea bass and other creatures. That activity continues, but it’s clear that we need to have some very large, very secure areas that can really be safe from extraction. Oceans Deeply: Last year, nations failed to agree on a new reserve in East Antarctica. How do you persuade those opposed to new protections? Earle: The rationale requires looking at the history. Antarctica was not discovered until 200 years ago – well, it will be in 2020. Aside from the exhilaration of discovery, the first approach was “what can we get out of Antarctica? What can we exploit?” Maybe the seals were first, and then the whales, and then even the penguins were marched into cooking pots to extract their oil. Now, fast forward to the 21st century, we see other values. It’s not just what we can take out of Antarctica, it’s what the whole system, land and sea together, provides for all of us. We couldn’t see this 200 years ago or even 50 years ago. Much of the attention … has been on what can we extract from the ocean, or the other flip side of it: How can we use the ocean as a dump site? Even on the Antarctic [research] station, before we understood the consequences, the common way to get rid of trash that was accumulated was to put it in the ocean. Nothing really goes away. Now that we understand that, new policies have been brought about. Now that we understand that everyone benefits from intact Antarctica systems that deliver oxygen to the atmosphere and take up carbon dioxide and drive the great ocean food webs – capturing, storing and sequestering carbon – we now see the other values that, until fairly recently, were not put on the balance sheet. There’s also the important contribution the cold waters surrounding Antarctica have in terms of the deep ocean currents … filled with nutrients that are distributed all over the world. 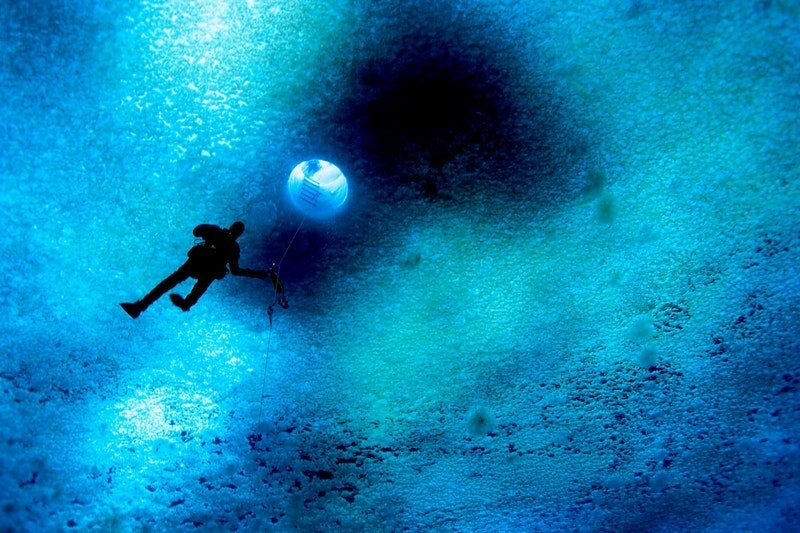 Antarctica is legendary for the richness of the waters. Oceans Deeply: So to come to a political agreement, do you think that it’s a matter of communicating better about all of these benefits that Southern Ocean protection provides? Earle: I think that’s fundamental. When you know, you have a chance that you can care and behave in new ways. The thing is that many policies that now govern activities in Antarctica were formed years before. The role of polar areas concerning climate, weather and planetary chemistry – we now have new insights that require we take a fresh look at the way we treat the ocean generally, but particularly in this case the waters around Antarctica. We’ve taken the ocean for granted. Now, we have plenty of evidence. We need a living ocean, not just a place where we can extract things, but a place that continues to deliver what we sometimes refer to in an academic way, as saying this “service” that the ocean provides. What can we do now to target areas of high impact? That really means let’s look at Antarctica. Oceans Deeply: So you get the most bang for your buck there in a way? Oceans Deeply: There’s some debate about how effective MPAs are, especially if fishing is still allowed or if there isn’t adequate enforcement. In the remote Southern Ocean, how do you avoid creating marine parks on paper and make sure they deliver conservation benefits? Earle: There’s plenty of evidence – plenty of evidence – that when you stop killing things, recovery can happen. That marine protected areas do, in fact, work. Teddy Roosevelt faced a similar problem when he began, in the early 20th century, establishing protections for national parks and monuments in the American West. There was a lot of poaching, a lot of tree cutting. It took a while for people to realize that they are really harming their own interests when they take from these safe havens for nature. Here’s the thing: You have to first establish it before you can protect it. If you don’t establish an area and formalize the nature of a place as, call it an MPA or call it a reserve or call it whatever you want, you can’t protect what doesn’t exist. That’s what Roosevelt found. That’s what we’re finding now. You may call it a “paper park,” but it takes time sometimes to get people to come on board and … realize it’s not just for the benefit of the fishes and creatures in the sea, but it’s also an important factor from a human standpoint. You can’t just take fish or shrimp or krill from everywhere, all the time, in any numbers. They have to have recovery areas, and they can’t just be tiny little places either. They have to be large enough to be truly effective – especially given the depletion that has taken place over the past 50 years. You have to give these systems a break. Oceans Deeply: I know the goal is to create three additional reserves by 2020 in East Antarctica, the Weddell Sea and the Antarctic Peninsula. What needs to happen between now and then to actually achieve that goal and what are the challenges? Earle: Our challenge, our responsibility, is to make a case that this benefits everyone, anywhere, and to get a global community together. Oceans Deeply: Is it most important for politicians to hear that message or the general public? Earle: Both. I think it was Abraham Lincoln who is attributed, as he is for many things, as saying if the public is with you anything is possible. If the public is not with you, nothing is possible. We want the public on board. But we have to have leaders who have the authority. Their signatures matter. Where we’re headed right now is not very encouraging for mankind. We continue to chew away and carve away at the systems that generate oxygen and capture carbon and maintain the chemistry of the planet that works in our favor. I don’t blame those in the past for some of the actions in ignorance, but now we’ve got the evidence. The evidence there – our challenge, our job, our role perhaps – is clearly showing the cause and effect and clearly showing the benefits of why this will be a win. Oceans Deeply: The United Nations is now thinking about a lot of these issues in parallel within the upcoming negotiations to create a treaty to protect high seas biodiversity. Earle: The waters around Antarctica, technically, they’re high seas. The global commons. But a disproportionately small number of nations are extracting from the global commons around Antarctica. When that knowledge is made known more widely, I think people will also say, “But wait a minute, I have a vested interest. It’s the global commons, right? Why are these nations making the decision?” If they decide for protections, then everyone wins. But not if their goal is to extract from what … belongs to everyone.